ComfortableContacts CRM software. The feature list and benefits of the sales lead, prospect customer history management software. Can't wait to try it for yourself? Click here to download the fully un-restricted risk-free 14 day free trial! Do you sell conservatories? Click here to see our 3D Photo sales software! Do you sell windows or doors? Click here to see our windows & doors software! ComfortableContacts contains countless, powerful features. Please read below for highlights of the features and benefits contained within this package. ComfortableContacts is ODBC enabled e.g. it can work with ODBC data sources or SQL ODBC data sources. To find out more please click the next button, for ComfortableContacts CRM system. 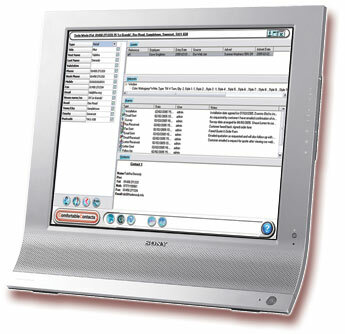 Click here if you are looking for Conservatory Software? Click here if you are looking for Windows & Doors sales Software?